How do you give permission? How does Admisol collect your data? How does Admisol protect your data? Cookies are small text files that are stored on your computer or mobile device by websites. Like that, our own website uses “cookies” to help us analyse how our visitors use our site, to help us make adjustments that suit your preferences and to improve the overall performance of our website. Cookies can be very useful to users – for example: think about websites that automatically adjust their language settings based on your default browser language – but they are in fact privacy sensitive. Cookies are privacy sensitive because they can be linked to your IP address (and therefore to your location or device). Because of this they are seldom completely anonymous and fall under the privacy legislation. Session cookies or temporary cookies: are deleted when closing the browser. Permanent cookies: remain active on the computer / device for a predetermined period (until you delete them manually or until that period expires). First-party cookies: cookies from the website / domain itself. Third-party cookies: cookies from third parties (for example Google Analytics). Essential cookies are cookies that are necessary for a website to function (better). Think, for example, of cookies that make online payments safer. Functional cookies: functional cookies collect information about the choices and preferences of the user and can, for example, remember your preferred language and customise the user experience of a website. Analytic / performance cookies: collect information about the behavior of visitors on a website in order to measure its performance and improve its user experience. Targeting / advertising cookies: track (the surfing behavior of) visitors in order to create user or customer profiles (mostly for personalized ads). They are used to measure an ad campaign’s effectiveness. Which cookies does Admisol use and why? The Admisol website uses Google Analytics, a web analysis service that is developed and offered by Google. The data collected with Google Analytics is only used for statistical purposes. Google Analytics uses its own cookies to analyse how visitors use the Admisol website and through which channels they end up on it. The information generated by these cookies (IP address, time of visiting, type of browser or device, pages visited, ...) is transferred to Google and stored on servers in the United States. Google then uses this information to write site activity reports for Admisol. Session cookies or temporary cookies are used in the Admisol webshops to register when and on which page you are currently logged in. These cookies are automatically erased when you close your browser or log out. Functional cookies are used in the Admisol webshops to register if and when you put a certain article in your basket. These cookies have a lifespan of up to 1 year and are automatically erased when logging out. Session cookies or temporary cookies are used in the Admisol applications to register when and on which page you are currently logged in. These cookies are automatically erased when you close your browser or log out. Functional cookies are necessary to ensure the proper functionality and safety of the Admisol applications. These cookies are used in the first place to remember your current language settings and the user with whom you log in or to ensure the safety of our online applications (by verifying the user account). The Admisol online applications also use Google Analytics, a web analysis service that is developed and offered by Google. The data collected with Google Analytics is only used for statistical purposes. Google Analytics uses its own cookies to analyse how users use the Admisol applications. The information generated by these cookies (IP address, time of visiting, type of browser or device, pages visited, ...) is transferred to Google and stored on servers in the United States. Google then uses this information to write activity reports for Admisol. You can always find more information about privacy in Google Analytics here. Since the Admisol webshops only use functional cookies, the visitor’s permission is not required. If the website in which the shop was integrated also uses different types of cookies, you will be notified and (if required) asked to give your consent. Most internet browsers are set to accept cookies automatically. However, you can always delete installed cookies and refuse the installation of new ones through the browser settings on your computer. The way in which depends on the browser. Consult the help center / functions of your browser or go to http://www.aboutcookies.org/ for more information. If you do not want data about your website visit to be passed on to Google Analytics, you can download and install the Google Analytics Opt-out Browser Add-on. If you do not want data about your use of our applications to be passed on to Google Analytics, you can download and install the Google Analytics Opt-out Browser Add-on. These policies apply exclusively to services provided by Admisol. By using our website and using our online applications, you agree to understand and accept said policies. Admisol cannot be held accountable for privacy policies of other websites, applications and or partners you use separately or in conjunction with our applications. Admisol respects the privacy of all users and visitors who visit, use, consult, or test our website, webshops or online applications fully and handles the personal information handed to use with the utmost discretion. Admisol gathers primarily personal data to maintain and guarantee the relationship between Admisol as a supplier and our customers or to guarantee the functioning of Admisol itself. - REGULATION (EU) 2016/679 OF THE EUROPEAN PARLIAMENT AND OF THE COUNCIL of 27 April 2016 on the protection of natural persons with regard to the processing of personal data and on the free movement of such data, and repealing Directive 95/46/EC (General Data Protection Regulation) #47. The legitimate interests of a controller, including those of a controller to which the personal data may be disclosed, or of a third party, may provide a legal basis for processing, provided that the interests or the fundamental rights and freedoms of the data subject are not overriding, taking into consideration the reasonable expectations of data subjects based on their relationship with the controller. Such legitimate interest could exist for example where there is a relevant and appropriate relationship between the data subject and the controller in situations such as where the data subject is a client or in the service of the controller. If the ledgers are preserved using computerized systems, these systems must be conceived in such a way that the company can perform their bookkeeping in accordance to the lawful and legislative determinations which apply to this bookkeeping. Accounting data, like invoices, copies of invoices, ledgers and other papers must be preserved during 7 years starting on January 1st of the year following the year in which the ledgers were closed or starting January 1st of the year following the date of issue of the invoices or other papers. The ledgers, invoicers and papers must be available on any question by inspection authorities, without displacement or delay. The carrier used to preserve the ledgers must ensure the availability and immutability of the data during the entire imposed retention period. When the accounting is performed electronically, this means that not only one must preserve the files with the ledgers but also the software en systems used to read these files, during the minimum retention period. Every accounting statement must be available for submission and reprintin during this retention period. Admisol may also gather, store and use information in regards to the Belgian and European accounting and fiscal legislation. For this only the utmost required and necessary data will be used. Data gathered through other channels (via e-mail, phone or website,...), are exclusively used for the situation or purpose for which they are supplied, to send you interesting offers, to keep you updated on new developments within our company, for analytical purposes or to optimize our service and user experience through a form of anonymous data processing. How do you give permission to Admisol to collect your data? Admisol never gathers userdata without your explicit permission. Through the following channels you give permission for Admisol to gather and preserve your data. When you communicate with Admisol, for example: through e-mail or phonecalls, you give permission to Admisol to gather the data you provide us and use it for the goal you provided it for. When visiting the Admisol website, you can subscribe to our newsletter by filling in your e-mail address. This e-mail address will be used to keep you updated on our latest company news or interesting promotions until you unsubscribe. Through which channels does Admisol collect your data? When you send us an e-mail, it is possible that we keep those messages. In some situations, Admisol asks you for personal details that are relevant to the situation in question. This enables us to treat and answer your requests. These data also form a vital part of the chain in certain internal business processes, like for example: to account for hours worked. When using our online applications, Admisol can ask you to fill in personal details. These data is only used to ensure the daily operation of Admisol as a company or to follow certain safety procedures inside the application. Furthermore, data can be collected anonymously for analytical purposes or in order to optimize the performance of our online applications and to improve their user experience. All data that is sent to us using support tickets is stored and registered. In some situations, Admisol can ask you for personal data that are relevant to the situation in question. This enables us to treat and answer your requests. These data also form a vital part of the chain in certain internal business processes, like for example: to account for hours worked. You can also contact us through the Admisol website with the general contact form. When you send us messages through this channel, it is possible that we keep those messages. This enables us to treat and answer your requests. Sometimes personal data may be collected as a result of day-to-day communication with Admisol and its employees. Examples include data obtained from telephone calls and meetings with customers. Here too, the policy rule applies that only the information that is necessary to enable the cooperation with the customer or to help the customer is collected. These data can be stored by Admisol to account for certain decisions, general billing, etc. Data generated from e-mail traffic is always stored on Admisol’s own secure servers or on those of a third party. Data will only be stored with third parties if they have previously been deemed suitable by Admisol for the storage of personal data and if they comply without exception with the Belgian and European privacy legislation. Admisol never combines this information with other personal data, nor are they shared with third parties. Data generated from e-mail traffic is only shared with Admisol employees if this is required to help the customer. These data will never be used for training purposes. "The information in this e-mail is intended exclusively for the addressee. unlawful reading, use, storage or distribution is punishable. If this e-mail is not intended for you, you must inform Admisol immediately and in writing by means of a reply to this e-mail to info@admisol.com. You must then immediately remove this e-mail as well as any backups from your systems. Thank you for your understanding." Data generated from the Admisol online applications are kept at least and simultaneously on 2 different servers in 2 different professional data centers, within Belgium. In these data centers, our own servers are located in closed and secured racks and rooms. These Belgian data centers are subject to the Belgian and European privacy legislation. Data is also stored locally on servers at our company location, which are also located in a closed and secure room. The state, security and activity of the servers is constantly monitored and adjusted. Admisol never combines this information with other personal data, nor are they shared with third parties. Admisol passes on every (attempted) burglary to the Federal Computer Crime Unit and the Data Protection Authority, according to our internal company procedures. If there is a risk for the customer to theft of data, similar damage or a violation of rights and freedoms of persons, then the relevant customers will be informed in writing within 72 hours. Data from databases and backups are also always encrypted, which minimizes the risk of unauthorized use of data in case of infringements. Our applications are also ready to be ISO standardized. Each action of each user is continuously logged in order to ensure transparency and control and to avoid conflict situations. Information that is logged will only be consulted if requested explicitly, in advance and in writing by the customer or an authorized authority. Passwords are never stored in the Admisol applications. Admisol only stores the so called password ‘hash’. On the client, for example your internet browser, Admisol App, … the hash is calculated locally. Next, the calculated hash is sent to Admisol over the internet, where it is compared to the hash in our application. This means that our employees can never access the passwords of customers. Admisol offers you the option of two factor authentication. When logging in, customers can choose to receive a text message with a unique and temporary code that they must enter for confirmation. Most customers work online with their accountant. Most of the time, accountants also use a two factor authentication. If this is not the case, and the customer does use this type of authentication, then the accountant will also receive a text message with a code on his registered cellphone number. For important, impactful or irreversible actions in the Admisol applications, a security code is always sent in a text message to the customer. Admisol advises customers to limit the IP addresses from which Admisol can be used to the absolute minimum (the IP addresses of the users). If the customer has set a restriction on certain IP addresses, then this does not necessarily apply to the accountant. He has his own IP range from which he can access the customer files. If the accountant’s IP range differs from the customer’s IP range, then the accountant is able to access the customer files from each location as set in Admisol AND each location of each user as set in the customer files. Admisol advises its users of Admisol Accountancy to enable at least a two factor authentication and preferably to limit the IP range to the offices and residences of employees as well. There can always be (fragments of) personal data in the cache of the browser. That is why Admisol advises customers to regularly clear their browser cache. Some internet browsers are safer or more stable than others, which is why Admisol advises customers to use Google Chrome or Mozilla Firefox. These are the only supported browsers. If a customer uses a non supported browser, then he will be notified in writing after logging in. Although Admisol employees don’t have access to passwords of customers, customer support employees theoretically do have access to all customer files. In accordance with our internal company procedures, it is impossible for them to consult customer files without the customer having given explicit and written consent through the support screen in the online applications. In this way, each action is logged again to avoid conflicts. Customers also have the possibility to deny helpdesk employees access to their files by clicking the corresponding option in the support screen. Admisol employees never pass on personal data of customers to third parties, unless they received an explicit and written consent through the support screen in the online applications or are forced to do so by a legal authority. The Admisol website is entirely hosted and secured on or own servers. For this, Admisol does not depend on an external partner. Personal data obtained by cookies (text files that are installed on your computer) are gathered through anonymization of the IP address. This enables Admisol to analyse the way our visitors use our website on a global scale, without making any personal or address data recognizable. Admisol only uses these data to analyse how our website is used, to compile reports on website activity and to monitor and improve the user experience and performance of our website. "Data generated from e-mail traffic is always stored on Admisol’s own secure servers or on those of a third party. Data will only be stored with third parties if they have previously been deemed suitable by Admisol for the storage of personal data and if they comply without exception with the Belgian and European privacy legislation. Admisol never combines this information with other personal data, nor are they shared with third parties. Data generated from e-mail traffic is only shared with Admisol employees if this is required to help the customer. These data will never be used for training purposes." Personal data obtained through day-to-day communication with Admisol and its employees are only collected if they are necessary to enable collaboration with the customer or to be able to help him / her. Because phone calls can also contain sensitive and private information, under no circumstances they are recorded or used for training purposes. If telephone contacts take place in which several employees are involved or listen in on behalf of the customer, the customer is always first informed on this. Appointments that take place in Admisol’s company premises always take place in a separate conference room and are never recorded, filmed or used for training purposes. This way, Admisol ensures the privacy and discretion that are required to maintain a good understanding with customers. Notes are only made by employees in their personal notebooks provided by Admisol. Employee notes will under no circumstances be taken to locations other than those for which they were originally intended. Each employee must be in possession of his or her own personal notebooks. These won’t be left unattended under any circumstances. Notes that are no longer relevant are never just thrown away, but are stored in special and secured archives. Each abuse or unlawful use of personal data or entrusted data by Admisol employees will result in internal sanctions and / or appropriate measures. Personal information and data obtained through appointments and telephone calls is usually stored by Admisol employees in our secured and self developed CRM environment or in digital reports within our own online applications. The data in this environment is therefore covered by the same privacy and security policies as those used for our online applications. These data are exclusively used in order to enable collaboration with customers, keep appointments or to be able to help them and are only shared with Admisol employees if this is required to help customers. No data in this environment are shared with third parties or combined with other obtained data through different channels. Data that are no longer relevant are hidden in the CRM environment or digital reports, but are never fully deleted. This in order to make a correct and complete account of our services possible. If a situation requires one or more employees to listen along with a telephone call, then the correspondent’s permission needs to be asked for first. Anyone who entrusts personal data or information to Admisol through daily communication, use of our online applications, visits to our website, ..., always remains the owner of the entrusted data or information. This way, the data subject always has the right to obtain information about the processing of data or to view, correct, delete, dispute or transfer the data relating to him or her. The main group of recipients who, apart from data subjects, could have access to the personal data stored by Admisol are its own employees. Admisol employees always need to respect and obey strict internal procedures and work regulations when working with personal data. Employees can only use personal data after explicit consent of the data subject (read: customer). For example: they may never consult a customer’s file without prior approval in the form of a help request from the file owner or data subject. Employees can only use personal data or share them with colleagues if this is necessary to be able to help the customer and to enable a professional customer relationship. These data is only used for the purpose for which they were originally provided by the data subject and are never used for training purposes. Admisol always ensures the privacy and discretion that are required to enable and maintain a good customer relationship. Admisol uses partners to make daily operations possible, for example professional data centers in Bruges and Brussels where our data is stored. Personal data will only stored with third parties (partners) if they have previously been deemed suitable by Admisol for the storage of personal data and if they comply without exception with the Belgian and European privacy legislation. Personal data will only stored with third parties (partners) when this is required for a proper daily functioning of Admisol. This relationship is purely functional. Admisol personally checks the security of this data and always keeps control over what happens with it. Admisol never combines personal data with other personal data stored or passes any personal data on to third parties. In the event that a competent authority turns to Admisol with a written and binding request for access to a limited group of data, for example in criminal investigations. Under no circumstances will data or personal data be shared by Admisol with third parties. What rights do you have regarding your data and how does Admisol respect them? No one can use our services / online applications without having signed a proforma invoice beforehand. This proforma invoice clearly describes what we can do with your personal data. The recipients or categories of recipients to whom their personal data can be passed on. The period within which the personal data will be stored, collected or processed. The statement that states that you have the right to have the processed data rectified, deleted or to file a complaint with a supervisory authority. Furthermore, you always have the right to access all personal data collected by Admisol. For this, you can always file an electronic request for access through the help section of our online applications (read: support ticket) or via a registered letter to the Admisol head office. 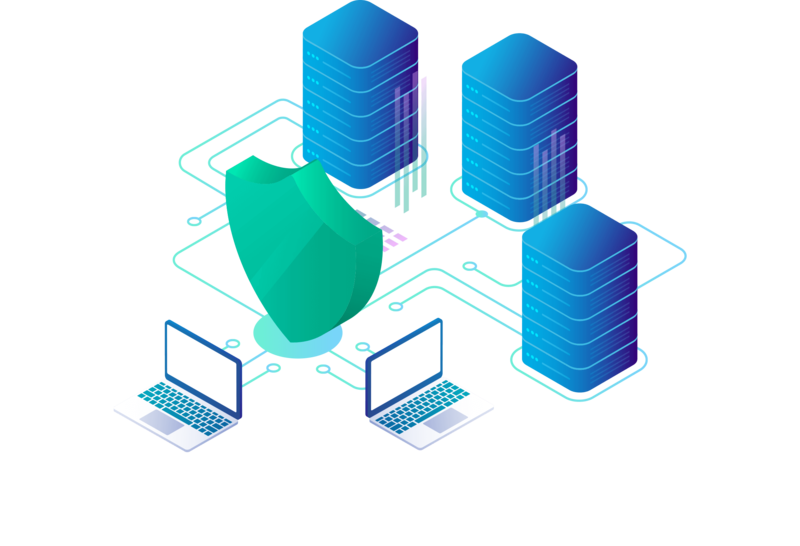 Admisol is then obliged to provide you with a free copy of the personal data processed by Admisol, within a month after having received your request. You always have the right to correct incorrect or incomplete personal data, or to restrict the further processing of data until incorrect or incomplete data has been rectified or completed. Customers can always adjust their data themselves in the Admisol online applications. Also, you can always file an electronic request for data modification through the help section of our online applications (read: support ticket) or via a registered letter to the Admisol head office. If you request the correction of certain data, then Admisol is obliged to provide you with an answer within a month of the request. The European GDPR legislation states that, in certain cases, the data subject has the right to be forgotten. This means that the data subject can ask the data processor to erase all his personal data from his database(s) without unreasonable delay. Accounting data and documents must be retained for at least a period of 7 years. Investments must be retained until the moment they are put out of use. Attention: so not until the investment has been depreciated! All documents that precede an invoice must be retained for the same amount of time as the invoice itself. Examples of this are: order forms, pricing offers, delivery notes, transport certificates, etc. Also, all support tickets, e-mails, scheduled appointments, etc. are kept by Admisol. These data form a vital part of the internal operations and must remain consultable, for example in order to account for hours worked. Therefore, the Belgian accounting legislation makes the erasure of data by Admisol practically impossible. The European GDPR legislation also states that, after having forgotten the data subject (after having erased all his personal data), all his personal data must be erased from all existing backups as well. Admisol simultaneously takes backups on at least 2 different locations in Belgium, through at least 2 different methods. All backups are taken automatically from all customer files in which there has been any user activity the previous day, with a minimal frequence of once a month. When one combines the European GDPR legislation with the Belgian accounting legislation, one could state that Admisol is only obliged to erase a certain part of its backups (namely the part of the data that according to the Belgian Accounting Legislation no longer has to be kept). Admisol’s current backup structure makes it technically impossible to remove parts of data from a backup. This would not be allowed either, since these backups are the origin of the Admisol billing. In order to respect your right to be forgotten anyway, Admisol offers you the following solution. You will be added to a register of data subjects who have claimed their right to be forgotten. All your data will be removed from the operational flow (to the extent that this is not contrary to Belgian or European legislation or contractual obligations). It is technically not possible for Admisol to permanently erase all your data from our backups. So it is possible that some information needs to remain stored for a longer period of time. All data collected in backups are standardly separated from the operational flow. If a backup ever needs to be reinstated, then Admisol is obliged to first delete your personal data on it before the backup can be used or replaced. When data is collected for direct marketing purposes, then the data subject can object free of charge and without any justification to the processing of his data. Today, Admisol uses only one type of direct marketing to approach prospects and customers, being: Direct mailing by e-mail: newsletters. Admisol always provides its recipients with the following possibilities to unsubscribe to the correspondence: A possibility to unsubscribe is present in every newsletter or commercial email. The deregistration on such correspondence is always executed within the fastest possible period and is completely free of charge. Moreover, the data subject is always informed in writing (via a reply by mail) of a successful deregistration or any problems with the completion of this procedure. The European Commission states that you have also the right to file a complaint with the competent authority when you think that your rights on personal data protection are being / were violated. In Belgium, you can file this complaint with the Data Protection Authority (DPA). You can always find more information via https://www.dataprotectionauthority.be/. As a data subject, you have the right not to be subjected to any form of data processing based on automated decision-making or profiling. For example: the automatic screening of your internet usage in order to send you customized ads. This does not apply to Admisol, since no personal data is collected based on profiling or automated decision-making in any way or in any of our applications. Admisol also offers you the possibility to export all your available data to at least one of the following formats: .xls, .csv, .pdf or .xml. After submitting the procedure to stop your subscription, Admisol always gives you 3 months time to export all your personal data. You can always address our helpdesk for more information about one of the data transfers mentioned above.